Jill C. Stone graduated in 1986 from the Inaugural class of the City University of New York Law School at Queens College. She devoted her practice to criminal, matrimonial and family law having practiced in the Law Firm of Addabbo and Greenberg, a family based law firm with her father and brother. 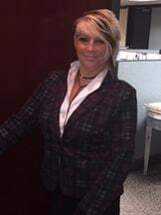 She is a member of the Law Guardian Panel in the Nassau County Family and Supreme Courts since 1996, where she has handled hundreds of cases with regard to Matrimonial and Family Court actions representing children of all ages in custody, visitation, abuse, PINS, Juvenile Delinquency, and neglect cases. She is a member of the Nassau County Bar Association, the Nassau County Women's Bar Association, the Queens County Women's Bar Association, and an Advisory Board Member of We Care, the charitable arm of the Nassau County Bar Association. Ms. Stone is also affiliated with and a member of the New York Family Law American Inn of Court and the Nassau County Women's Bar Matrimonial Committee. Ms. Stone have been elected to the Association of Family and Conciliation Courts as a Board of Directors Member.